Morgan Manasa - What's the Latest? The Lady Demands Satisfaction is Open! 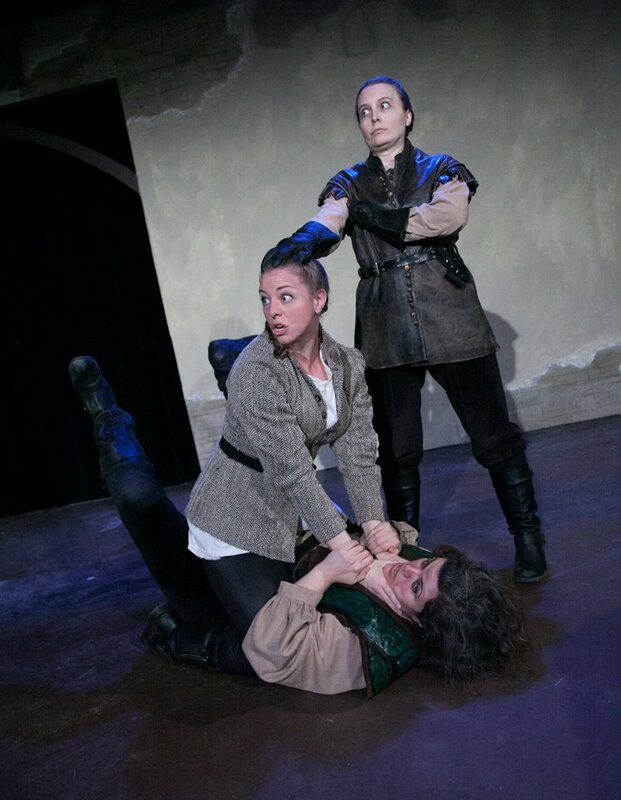 My directorial debut with my artistic home, Babes With Blades Theatre Company, opened that last weekend and people are LOVING it! We've been recommended by the Chicago Reader and the Jeff Committee, which is tre' exciting. I've been so busy with Henry V going into tech and then opening and now running at full speed that I haven't been able to keep up with much else. We've been having a great run so far, our audiences have been really engaged in our work and it's a relief to see all our hard work paying off. 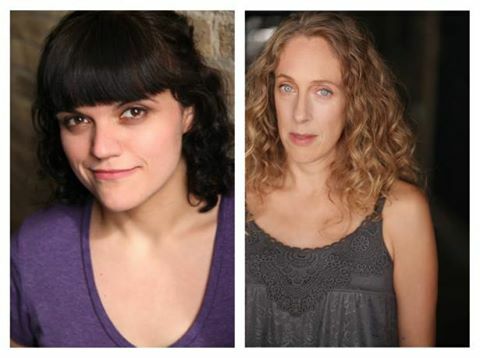 If you're in the Chicagoland area sometime between now and April 1st, come stop by the City Lit Theater off the Bryn Mawr train station and come spend a couple hours seeing our Reader Recommended show! 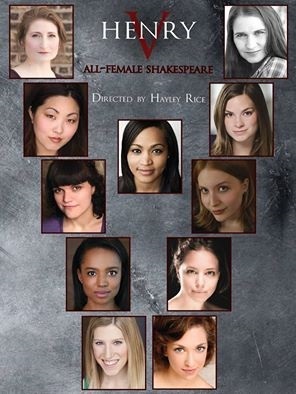 I'm thrilled to announce that I've been cast in Babes With Blades Theatre Company's all female production of Henry V! I'll be playing along side other ensemble members Delia Ford, Kim Fukawa and Jennifer L. Mickelson and a slew of ladies I've never worked with before. And my sister from another mister, Hayley L. Rice, is directing! I can't begin to tell you how excited I am. I'll be playing a couple of characters, but my main role will be Fluellen, the Welsh Captain. Needless to say, I have a lot of research to do. Eeeeeeeeeeeeee!!! This year has been pretty amazing work-wise. Next year is looking pretty hot to trot as well. ​See ya'll on the field at Agincourt in February! Well, this has turned out to be quite the busy year. 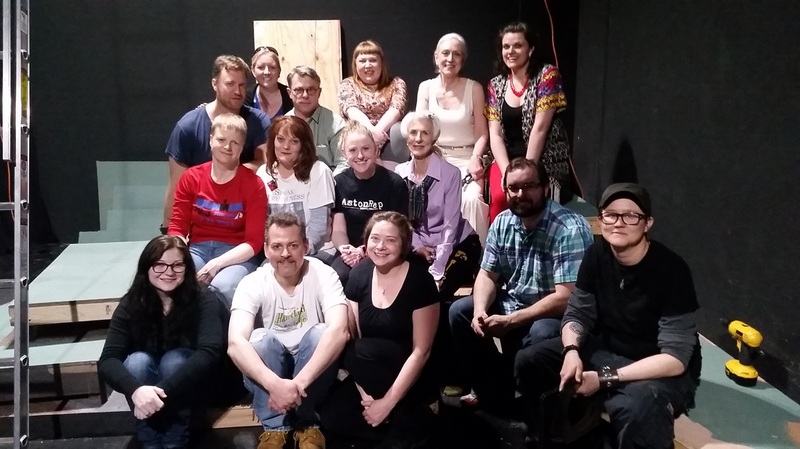 After "The Women of Lockerbie" closed I went right into rehearsal for "The Green Bird" with The Cuckoo's Theater Project. 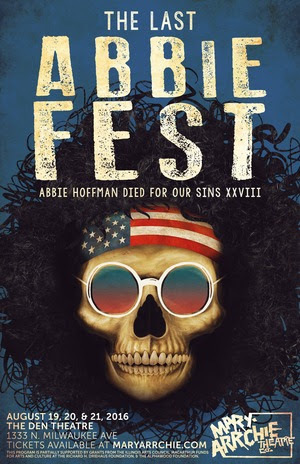 Then with almost no time in between started rehearsal for the one act play, "Shooter" by Jeff Helgeson which will be a part of the last Abbie Fest. "On an average weekend in Chicago between 40 and 70 people are shot. "Shooter" deals with the circumstance faced by one of them." This has been a really challenging role and play and I've been really lucky to be working with some amazingly supportive, smart and lovely artists on this one. If you're in town come check us out this weekend at The Den Theatre in Wicker Park! We go on August 19th @ 9:50pm and the 21st @ 2pm. I hope to see you there! 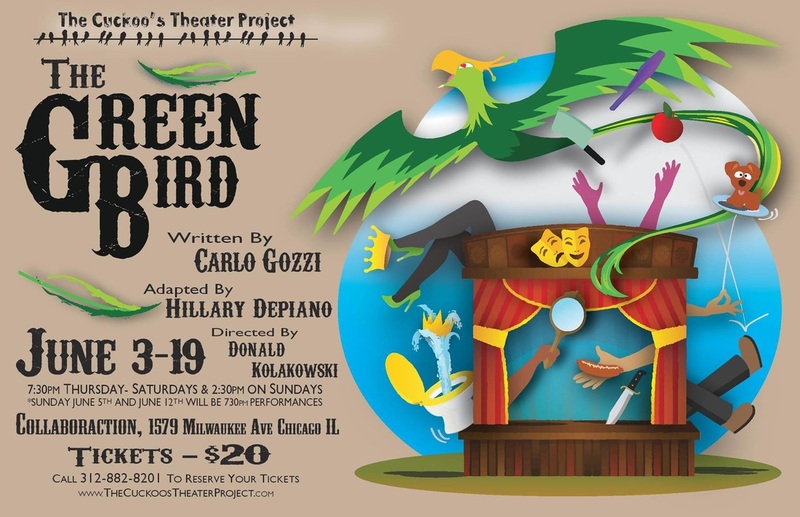 I'm currently in rehearsals for "The Green Bird" with ﻿The Cuckoo's Theater Project﻿. It's an adaptation of the commedia dell'arte classic and it...is...WEIRD (in case you don't know me well enough, that's a compliment). It feels good to get back to my comedic roots and did I mention I'm playing a queen? *tosses hair in Cher-like fashion* Make sure to get yer tickets soon though. I hear they're gonna sell like hotcakes. 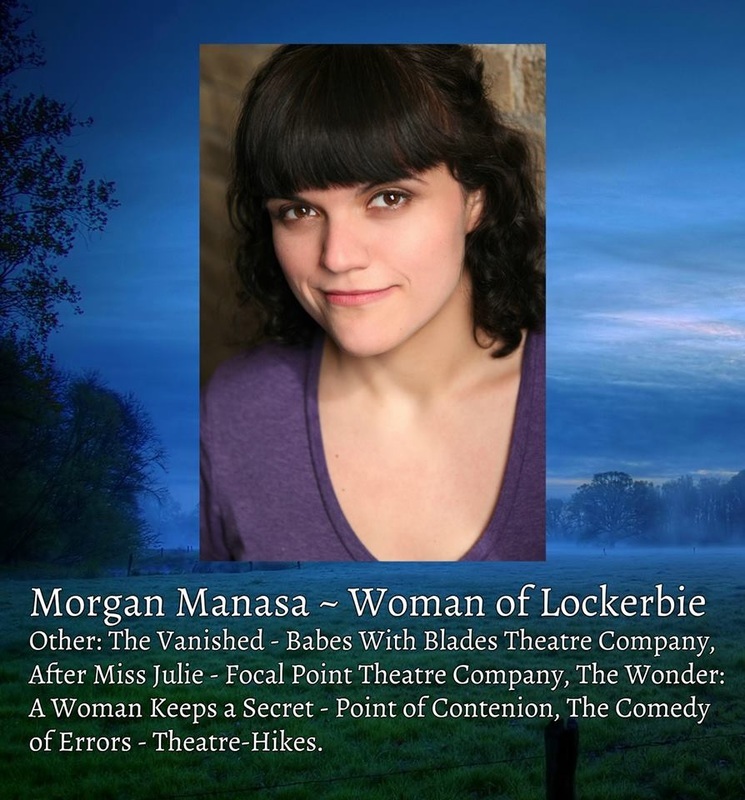 The past couple of weeks have been really hectic, but in that time The Women of Lockerbie opened! We've gotten some really positive feedback from audiences so far and the critics seem to like us, too. The Chicago Reader recommended us and Chicago Theatre Review seem to think we've got a pretty solid show on our hands. Yay! If you're in the Chicagoland area between now and May 8th, come on over to the Raven Theatre Complex and check us out, if'n ya please. Wait...I forgot to tell ya'll the big news? As of earlier this week I am officially the new Managing Director of Babes With Blades Theatre Company. 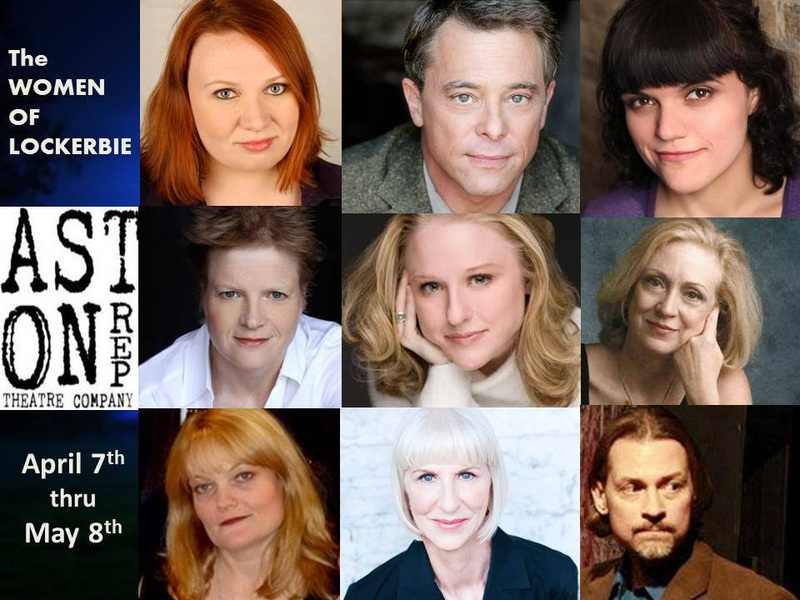 I've been an ensemble member since 2007 and I'm delighted to be moving on up to the East side as we prepare for our Spring production ("The 180 Degree Rule") and our 20th anniversary! Say what? Say, YES! So, keep your eyes on BWBTC! We've got more restructuring coming your way and it's. Going. To. Be. AWESOME. 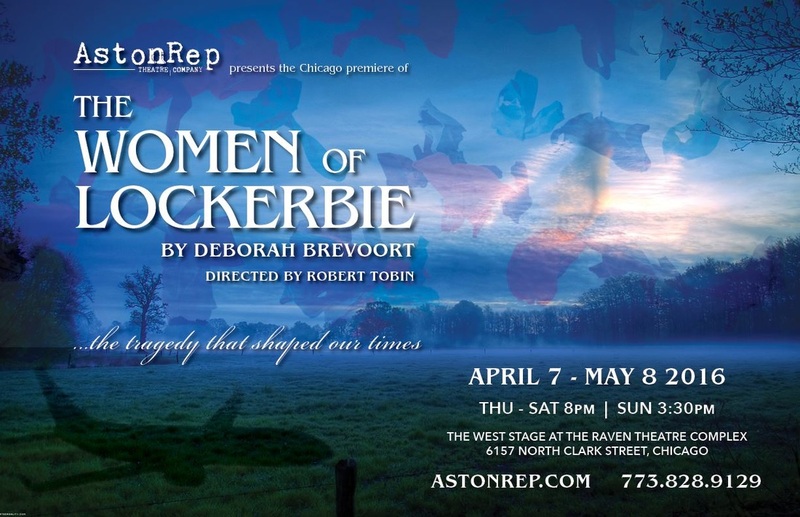 I'm pleased as punch to announce that I'll be making my AstonRep Theatre Co. debut this coming April in "The Women of Lockerbie" by Deborah Brevhoort, directed by my buddy Robert Tobin. This is going to be a beast of a play and I can't wait to sink my teeth into it!